Visualize - See scales clearly with easy-to-learn shortcuts that will transform your guitar playing. 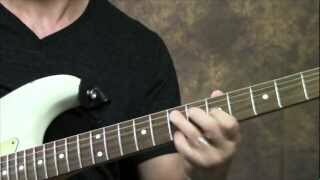 How to use your volume and tone controls. So you can get the perfect sound for your solos. 5 simple exercises to build hand and finger strength. So you can have more freedom in your movement and explore the fretboard. 3 essential palm muting techniques. So you can play percussive licks that burn up the fretboard. 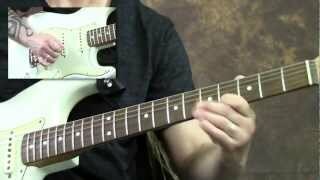 Find out how to play the pentatonic minor scale in all 5 positions. Which means, you’ll be able to play solos anywhere on the guitar neck. How to add alternate picking to each shape, so you can build speed and add variety to your solos. Easy exercises that improve dexterity in both hands. Which means, your hands will move freely and with ease, so you can always play your best. How just one simple lick can be the starting point for a great solo. So you don’t waste time “thinking” too much and let things flow. The 2 most critical techniques every serious guitarist needs to know. Bends and vibrato. So your solos can really sing. 3 critical rock and roll bends. So you can create those heart-stopping licks that make everyone take notice. Discover how to use tapping with the minor pentatonic scale using your fingers or a pick. So you can play a blazing solo that screams. Find out how to tap and slide at the same time. So you can create fluid lines that sizzle. How all the pieces of the puzzle come together to form a complete, spine-tingling solo. 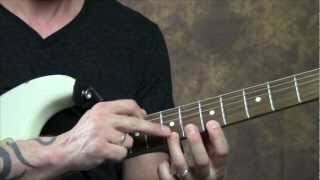 So you can start playing lead guitar with confidence. 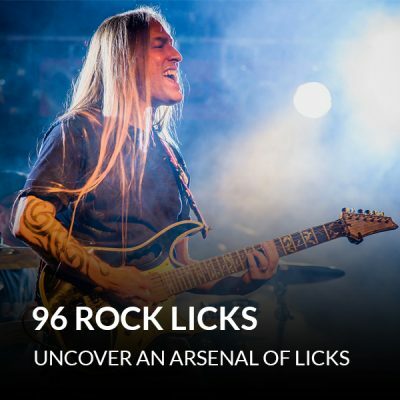 You’ll jam out with Steve over classic and hard rock songs, using all his tips, tricks and techniques. So you can put them to work in your lead guitar playing. Discover how to jam over a non-rhythmic vamp. So you can keep your audience spellbound using powerful, aggressive playing. I'm 49 years old & I've been playing guitar for about 37 years (Classic Metal, Rock & Blues). I've also played bass & drums in a few bands over the years so I was pretty set in my ways in playing. I purchased Solo fire & in a less than a week Steve had me back to playing scale positions that I haven't played in years plus many other things that I was no longer doing. Just the practice routines alone helped me get back on track quickly ! Everything about this course is great & I highly recommend getting this one! I also bought it so my 16 year old could have better understanding of scales and within 3 weeks he's playing the heck out of scales now ! He can really learn from Steve the things that I just can't teach him. Though I am just scratching the surface of this course, It is jammed full of good useful info and techniques. Not only does Steve do a great presentation that is easy to fallow and understand, he incorporates everything (skill, theory, and technique) to everything. So as you progress all your abilities and knowledge are increased. "Solofire" is a great course; it´s easy to understand the theoretical parts, and it blends in nicely with the practical applications. I have been through many of Steve´s courses (inlcuding "Guitarsolos Made Easy" and the "Guitarsolo Masterclass") and I love his way of teaching. I always learn something new from every course - they complete each other. I highly recommend "Solofire"! courses all at one time. I also like to say thanks to you that are from North Dakota for loaning us Carson Wentz , Go Eagles!!!! This course provides a comprehensive overview of all of the technical aspects of soloing. More important, Steve offers brilliant insights into how to apply these techniques in a musical context. For example, I loved his ideas on the best places to bend notes in the various pentatonic scale positions – and his tip about adding/bending the 2nd to introduce more variety into solos. His suggestions for everyday drills are a great way to warm up and build speed, while also playing in time. Highly recommend this course. Great course, which I haven't finished yet. I'm about 3/4 through it, and have learned quite a bit. I've been mainly a bass player for years, and bought this course to boost my rythem guitar playing skills to where I can actually do some soloing. Steve is a great teacher, and Solofire has me well on my way. A great companion course for Masterclass 70's!!! Thanks much!!! This course is helping me to see the repeating patterns on the fretboard more easily. Steve Stine makes understanding the materials so much easier than most other teachers. Even my mom who does not play guitar says how easy it is to understand when he teaches versus some of the other instructors out there. Thanks to this course, I have not only learned all the Pentatonic Major and Minor positions, I also am starting to see how the notes are easily accessible from many different locations. 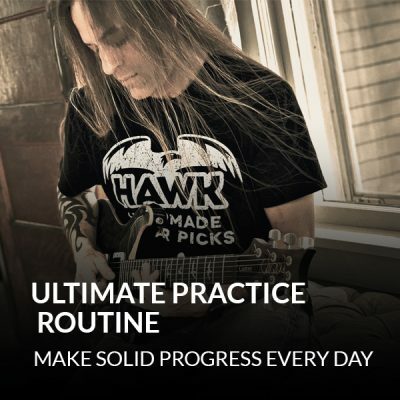 While I was practicing the pentatonic patterns in this soloing course, I also accidentally started playing, by ear, a couple popular rock and metal songs. What an EGO boost to accidentally start playing classic hits! I don't have the entire songs down yet, but I've had so much improvement from Steve's courses. Sometimes I put a course on auto play and go to sleep with it on so it's the last thing my subconscious is aware of before I go to sleep. I would definitely recommend this course. Hi Dan and Steve. 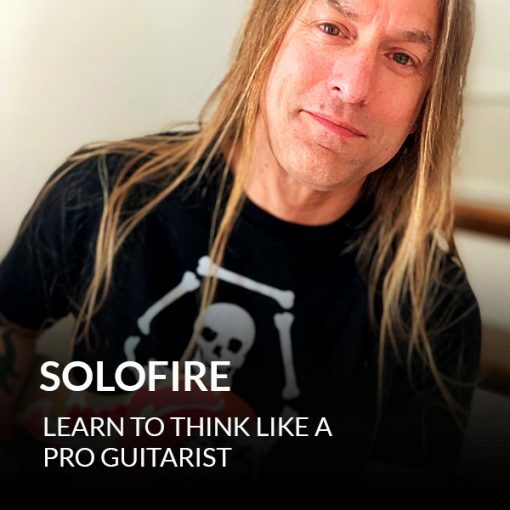 I am very excited about the Solofire Guitar Course that I ordered from you. Currently, I have not yet finished the course; however, from what I have reviewed so far, it's an absolute awesome course and I can't wait to delve further into it. Because of my hectic schedule though, just finding time to work on the courses is my only dilemma. Be advised, though, that all of the courses I purchase from your are A-1! I would gladly recommend your courses to anyone. Thanks and keep up the good work! Very good way to learn technique. Good basics course.